Overworking your feet can put stress on your entire body, so taking care of your feet is an absolute priority for overall good health. Standing all day can cause a myriad of different conditions such as bunions, callouses, and plantar warts. These conditions are all very painful but can be avoided with proper foot care, which includes both proper posture and good shoe choices to contribute to the overall health of your feet. A good place to start is choosing a show that has a negative heel which places the heel slightly lower than the ball of the foot, as shoes designed this way are best for your foot health. Having a job that keeps you on your feet all day makes it an especially a good idea to spend the extra money on a good pair of shoes. And most definitely purchase your shoes from a reputable manufacturer who puts foot health at the forefront of their goals. Having a job that keeps you on your feet all day makes it an especially a good idea to spend the extra money on a good pair of shoes. The feet were not designed to be enclosed for hours on end. In fact, incorporating some "barefoot" time into your daily routine is not a bad idea to improve overall foot health. There are some other simple things that you can do to help alleviate pain and pressure on the feet from standing all day. One of the first things you can do is perform some simple foot exercises and some common yoga moves to improve the function of your feet. Foot work outs that aid in your movement will stimulate blood flow and muscles of your feet. Yoga exercises that stretch your feet out flat on the floor can be very beneficial for you if you work on your feet all day. It can also help stretch and relax the calf muscles and Achilles tendon, both of which can become problem areas if not taken care of. You can perform these exercises every day during your daily routine, at the office, at the gym, or even before you go to bed simply stretching your feet out can do wonders for your foot health. Foot pain that occurs every day because you work for long hours on your feet may lead you to think that this pain is inevitable. However, it does not have to be. Foot stretches and proper footwear work well in alleviating foot pain and preventing further foot problems. With a little effort and some education, you can keep your feet healthy and feeling good. If your feet hurt, your whole body will eventually feel the effects over time. Start taking care of your feet today! Our feet are of great importance in our lives. However, they are something we tend to neglect. When this becomes a habit, it can cause significant trouble. Pain, limited mobility, and expensive doctor’s visits can occur when foot problems are ignored. If feet are cared for and looked after each day, however, they will perform without pain or complication. Hygiene is the most basic way to care for your feet. Washing and drying them thoroughly every day is most important. Cleaning between your toes, and keeping your toenails trimmed and short is essential. Using moisturizer is also important if your feet feel dry or appear cracked. Remember to avoid using moisturizer between your toes. This can cause fungi and bacteria development if cream sits in that area. The skin can also macerate between the toes when moisturizer is used. Footwear is also an important aspect of keeping your feet healthy. Making sure your shoes are the correct size is key when picking them out. Shoes should not feel too tight, but snug. If a shoe is too loose, they can also cause problems. Shoe shopping is recommended to be done later in the day, because the feet will have settled and swelled to their full size by then. Wearing high-heels or flip-flops too often should be avoided to keep their feet healthiest. Wearing shoes that are good for your feet, have padding on your soles, and support the ankles and arches are most important. Additionally, socks should be worn when closed-toe shoes are worn. Though they may feel hot during the summer, they are important in absorbing sweat and moisture off the feet. 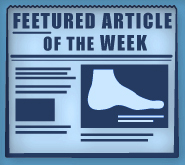 Without socks, the buildup of sweat in a closed-toe shoe can cause fungi and athlete’s foot. The right shoes can make a difference in your everyday foot care. Make sure that your shoes show no signs of wear, and chose shoes that offer support for your arches and overall foot. Make sure cleaning your feet is a part of your daily routine. This way, your feet will stay healthy and safe. Flip-flops are often a popular choice of footwear for their ability to allow your feet to take in open air. As well as, for the freedom of movement they allow your toes. They are easy to slip on and can be worn with virtually any style of clothing. Flip-flops, however, despite their many benefits, can be detrimental for your foot health. Despite their comfortableness, the frequent wearing of flip-flops can create problems in the lower body over time. Issues mainly stem from the fact that people walk differently in flip-flops compared to other footwear, such as sneakers. This is due to a change in one’s natural gait, which therefore creates stress in different parts of the body while simultaneously throwing off the body entirely. Problems can also arise in the arches and balls of the feet, as flip-flops provide little to no support to these areas. Aside from long-term problems, flip-fops can also create short-term issues as well, such as ankle sprains and blisters. Weak materials that are flexible and bendable are generally used to manufacture flip-fops; these materials make a wearer prone to both trip and injure their ankles. Flip-flops can create blisters as the material rubs against the foot. People are much more at risk for infection while wearing flip-flops due to their openness; this also makes it easier to scrape and cut the foot since there is a lack of protection. If these cuts are left untreated and uncovered, the risk then becomes greater. To prevent the aforementioned occurrences, purchase a pair of flip-flops that offer significant protection. The soles of the flip-flops should not be floppy, but sturdy and firm, and should not significantly bend or wiggle when lifted from the floor. Flip-flops made of high-quality materials will not be affected by this problem. While higher quality flip-flops may be more expensive, they will last longer and provide better protection compared to a cheaper pair. Brand name flip-flops sold from a quality manufacturer are a dependable option. There is no problem in wearing your favorite pair of flip-flops so as long as you do not wear them daily or for extended periods of time. Flip-flops should be replaced every 3-4 months to ensure that they provide your feet with the best protection.